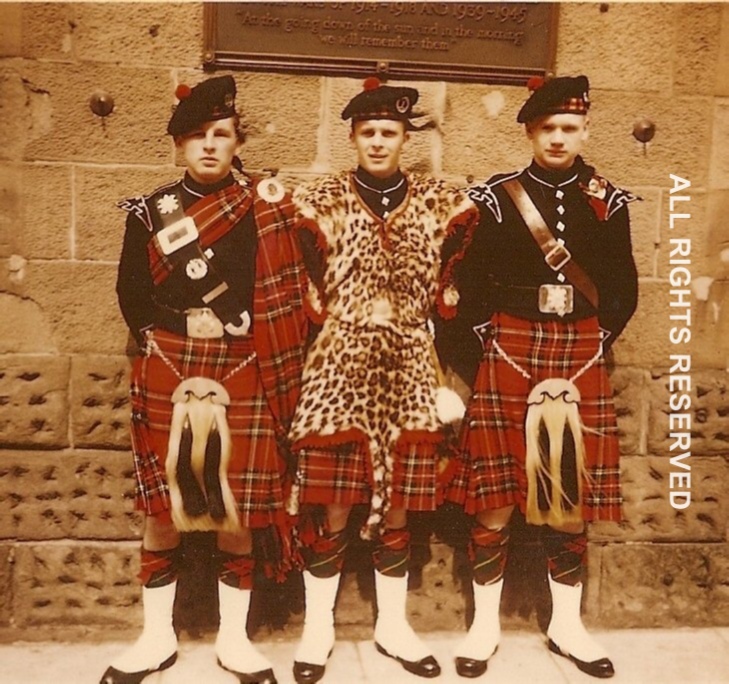 This was taken with their new uniforms when Jim was on his National Service. Henry Dyker had just returned from the Scots Guards and Rab Walker was in the Gordon Highlanders. Henry Dyker, Dave Whyte, Trevor Dear, Jim Potter (Tres), Hugh Massie. coast on the Sunday earning money for band funds. 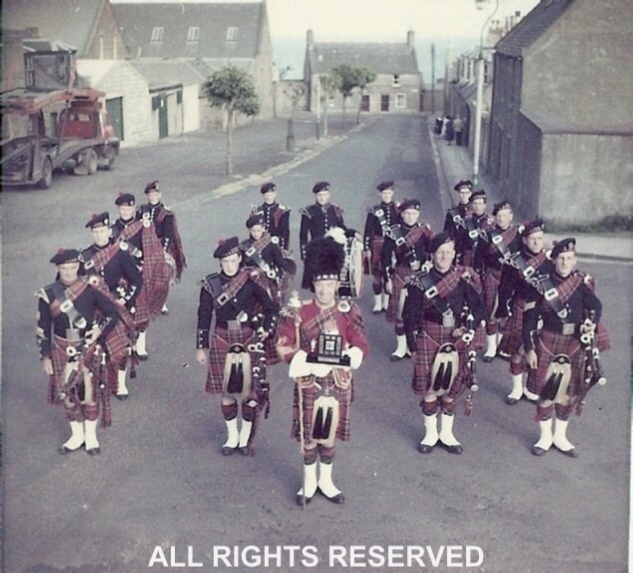 Back: Henry Dyker, Jakez Pincet, Jim Hoy, Jim Taylor, George Denier, Rab Walker. 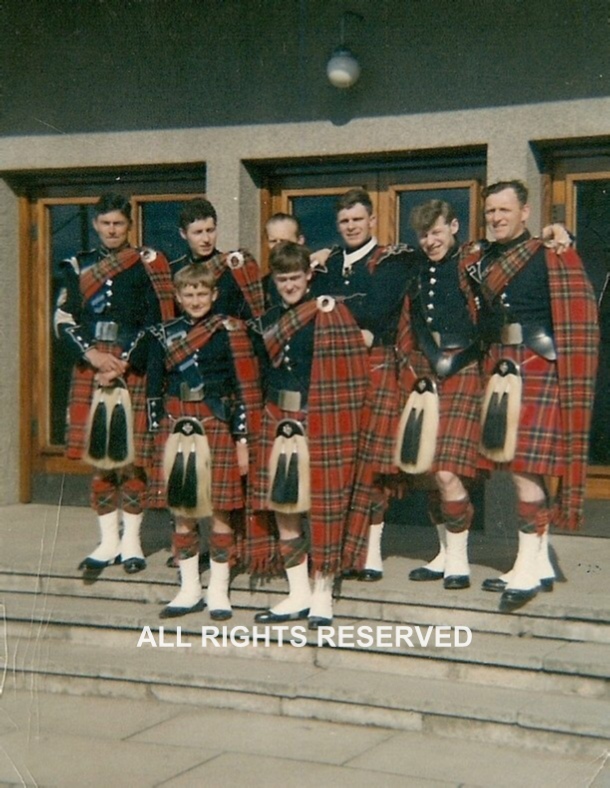 Taken in 1972 at the Band Hut in Forfar just after the Band won Grade 2 at Hazelhead Games, Aberdeen. 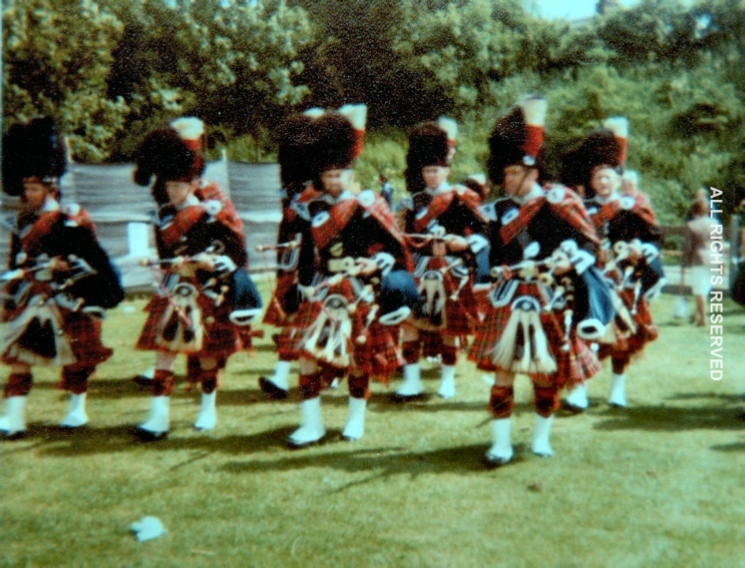 Taken at Forfar Highland Games in June 1981 as the Band leave the field. 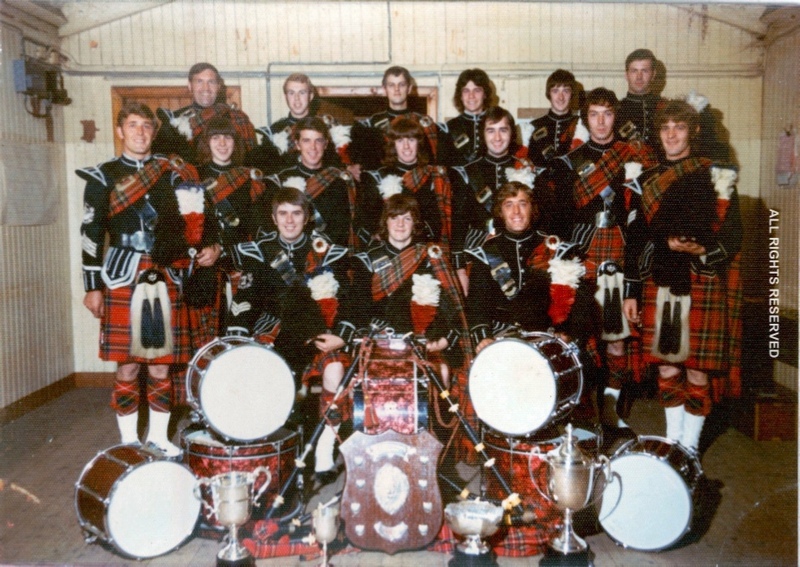 Tony and Euan Whitmore were member of the Forfar Burgh (Later RBL) until the mid 1980's when the band folded. 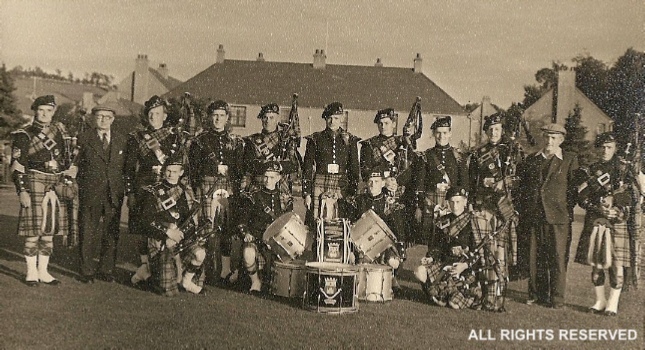 Undeterred, they moved on to play with the Perth and District Pipe Band.